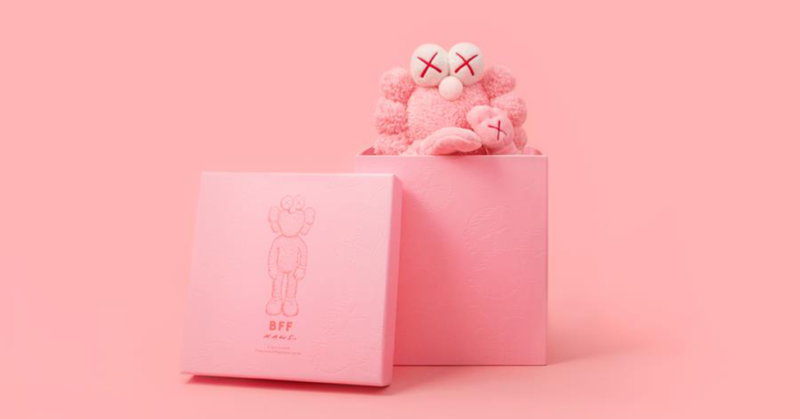 Release Details: BFF Pink Plush by KAWS! Pink to make your boy wink. This one will definitely make you wink. Maybe. Possibly. Probably not. If the BFF Plush is your thing, you may get a kick out of the Pink BFF Plush that is dropping today (9th April). From an edition of 3000, the Pink Plush BFF will be available from Noon EST (5pm UK) for those that wish to add this plush to your KAWS collection. No details on price at this stage, but you’ll be able to purchase from KAWSONE.COM!